Since scientists have recognised the greenhouse effect that is associated with the global warming, environmental friendly behaviour has become more important, and it is increasingly expected from companies to become more ecofriendly. This study deals with the so-called ‘Greenwashing’, a marketing strategy that is discussed by the author. The author examines the company’s motivations to become ‘greener’, and the relevance of IT-based environmental performance measurement to corporations. 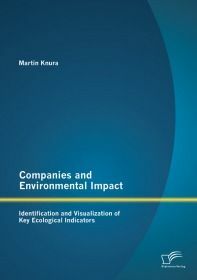 The main purpose of this study is to identify and visualize Key Ecological Indicators. Thus, the contribution of this work is the development of the theoretical foundations of KEIs, and the implementation of a KEI framework for business-processes on the basis of a case study.